Readers want to know how to expand gearing ranges on derailleurs that might not be meant for wide-range cassettes. The first option might work, so it is worth a try. You will still probably need a longer chain. The second option will work, as will the third option. Should option 1 fail, another option that is cheaper than options 2 or 3 is to use a Wolf Tooth Road Link. Is there a way to adapt the Chorus 11+ rear derailleur to work with a 32-tooth Centaur cassette, without changing the hanger? 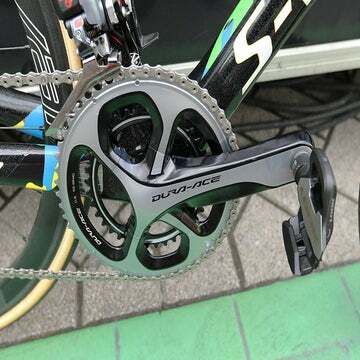 I have a 36-52 crankset. It really depends on your derailleur hanger. That derailleur is not designed for that, but it may still work. It may be that you can adjust the b-tension screw enough, and, using a longer chain, get it to work on a 32-tooth cog. Otherwise, you can certainly get it to work with a Wolf Tooth Road Link. At what point should a CXer re-glue their tubular tires? Last year I had a set professionally glued around October and did maybe six races after that, so maybe 35 hours total including practice time on the track. They seem like they are still on tight, but they haven’t seen race conditions yet this year. Do you have a seasonal rule- or do glue/tape companies have a recommended length of use? That depends on a lot of things, and the combination of glue used and conditions and duration it was used under may be the most critical. If the glue you can get at under the edge of the tire is so dried out that it comes off as powder, rather than as hunks that are still somewhat sticky, then regluing is in order. In general, if you have to struggle to peel up even a bit of the tire at any given spot, I would simply put some glue in where you peeled up the edge, pump it up, and keep using it. Re-gluing is not as simple as it sounds. When you peel the tire off, there will be globs of glue where every single spoke hole was, and there will be an uneven surface of glue on both the rim and the tire. While it is possible to clean it off of the rim, it really is not possible to clean it off of the tire’s base tape. The only way to do it would involve using a solvent, and you would likely dissolve the glue holding the base tape onto the tire carcass in the process. Then, after regluing, you would be likely to roll the tire off of the base tape, which would be nicely glued to the rim, while your race, and the tire, would be done for. So, if you can wear out the tire before ever reaching the point where it needs to be reglued, you will be better off for it. Seems that refusing to patch comes down to an unholy trinity of waste, haste, and incompetence. After 50+ years of patching, I’ve added this trick: Lightly hammer the patch after placing it on the dried glue, assuring a seal at the critical point: the edges. I learned this method for contact cement as a small-time operator in the leather-bag biz. On discarding tubes with a hole in them vs. patching them; sometimes we do things that are not entirely logical. But patching tubes instead of throwing them away is the ethical thing to do. Hard to understand for some people. And it just takes a minute or two of my time. 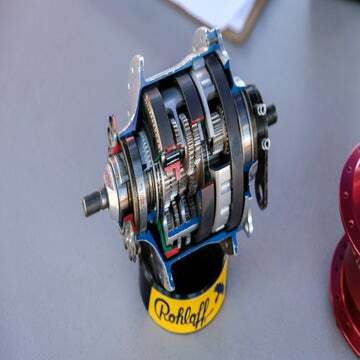 A special case is repairing a flat on the rear of a multigear-hub bike leaving the wheel on the bike. Getting out just the section of the tube where the hole sits and repairing it takes in total just a few minutes. Taking such a wheel off to replace the tube is a multiplicity of time consumed and amount of dirt on hands. I do refurnish my worn cassettes as well — not much work at all, and quite easily performed. Not because I have to, but because I like it. But that is definitely outside the scope of most people. 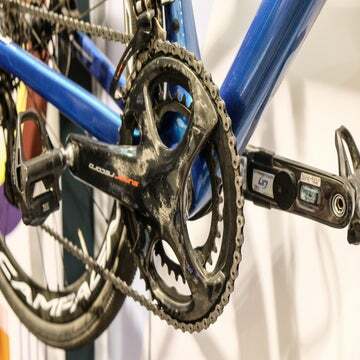 However, with cost for a new cassette now coming to hundreds of dollars that may come to a change. And that also is a friendly gesture toward our earth’s resources. On behalf of the environment and resource waste from end to end in a productive cycle, I’m offended every time I read or hear about anyone throwing out tubes instead of patching them (or paying some else to patch/recycle in any way). Here in Denmark I even see putty tubes and even tubular tires dumped roadside after a gran fondo, and the situation is even worse when I ride in Italy or France a week or two after the Giro or Tour used the same roads. Regarding tubular repair vs. throwing away perfectly good tubular tires: My opinion is the situation is even more horrible in regards to resource waste: If you’re not gonna recycle the tub’ yourself and won’t pay someone else to do it, you should not be allowed to procure tubular tires or rims.